The biography – described by musicians, book lovers and art critics as a ‘masterpiece’ – will be relaunched at The Alma Cafe on 25 August, 2017 along with a concert celebrating Syd, his magic and his music. 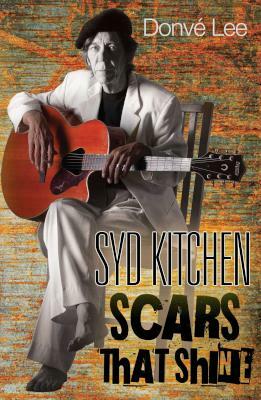 Long time friends and music partners guitarist Steve Newman, Bill Knight, Miriam Erasmus, Tim Parr and Mark Harris will perform both their own and Syd’s music at Alma Cafe, while author Donvé Lee will chat about the book. Signed copies will be available at a special discounted price. Donvé Lee discusses Scars that Shine on Tune Me What?